In this section you will find information about organizations and platforms that work in the protection of human rights defenders. 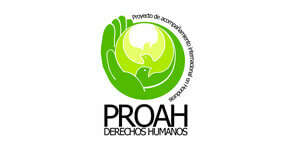 It is an organization working for the defense of human rights in a global scale. Their work consists in the investigation on human rights abuse, dialogue and pressure to the authorities, mobilization, public communication and the support to the activists working in the situations where the injustices takes place. 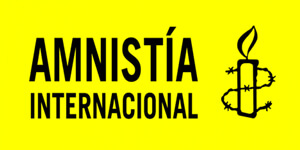 Evidencing the attacks against human rights defenders, as well as the state repression methods in order to silence this collective are among Amnesty International strategies. When Amnesty International is notified about a person or collective been in an extremely dangerous situation, a global network is activated, where thousands of connected people, unify their pressure capacity sending letters, faxes and emails. More information about the urgent requestshere. 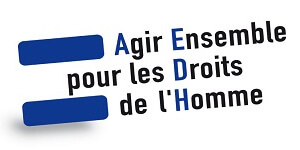 Agir Ensemble pour les Droits de l’Homme (AEDH) is a French NGO whose priority it is to defend and promote human rights and basic freedoms worldwide. Africa, Latin America, Asia, and Middle East. Initial help for defenders that have been threatened with arbitrary arrest or detention, kidnapping or homicide, for defenders who need to escape urgently from their country of origin or the place where they live. Social and relocation assistance in another country or region for activists who have successfully escaped from a dangerous area and who need help and assistance with settling in the country to which they have fled. Legal assistance notably in the case of arbitrary arrest. Medical assistance in cases where human rights defenders have been subjected to violence, ill treatment or torture. Intervention to promote and guarantee the safety of the defender with the authorities responsible for posing the threat. Colombia, Spain, Honduras, Mexico, Paraguay. It offers training in protection and focuses on the following areas of need: psychosocial support, empowering organisations, protocols and security, establishing networks and advocacy. 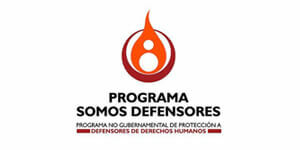 On its website there are several manuals with information and guidelines on the protection of defenders of human rights. EXIL is a non-profit, nongovernmental organisation that focuses on providing therapeutic, psychological and social support to people who have been subjected to human rights violations. 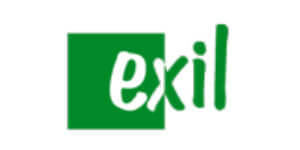 EXIL works with exiled people and victims of war, persecution, imprisonment, violence or torture. 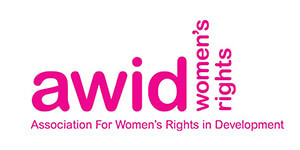 AWID is an international, feminist, membership organisation committed to achieving gender equality, sustainable development and human rights for women. 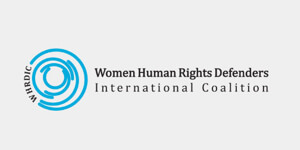 They work collaboratively with international and regional networks and our membership to raise awareness about human rights abuses and violations against WHRDs and the systemic violence and discrimination they experience and to strengthen protection mechanisms and ensure more effective and timely responses to WHRDs at risk. Promoting collaboration and coordination among human rights and women’s rights organizations at international level to strengthen responses concerning the safety and wellbeing of WHRDs. Supporting regional networks of WHRDs and their organisations, in promoting and strengthening collective action for protection - emphasizing the establishment of solidarity and protection networks, the promotion of self-care, and advocacy and mobilization for the safety of WHRDs. Increasing the visibility and recognition of WHRDs and their struggles, as well as the risks that they encounter by documenting the attacks that they face, and researching, producing, and disseminating information on their struggles, strategies, and challenges. 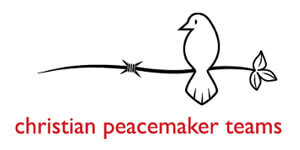 International Christian organisation that seeks to support peace defenders in conflict areas. They believe they can transform war situations and army occupation. More permanently in Colombia, Iraq, North America (indigenous justice) and Palestine. Temporary projects in: Democratic Republic of Congo, USA, Mexico and Canada borders. CPT places teams internationally with threatened communities and in conflict areas. They send volunteers to those countries to challenge human rights violations and to promote nonviolent action to resolve conflicts. CAL has got a programme for female defenders based on self-care, physical and social wellbeing. They offer a programme of early intervention in which female defenders can learn to be more conscientious about their own health and wellbeing and take ownership of it by identifying and sharing their own, individual needs. In this programme they give female defenders a break to allow them to look after themselves or to study, depending on certain criteria. 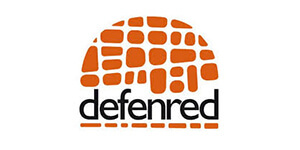 Defenred runs a programme to promote the self-care and wellbeing of human rights defenders. To achieve this, they´ve got a Respite House. Their vision is: “If activists take a break to look after themselves, if they raise awareness of what their situation is and what the impact of their daily fight for Human rights has on their lives, the possibility of effecting change is heightened. They could improve their overall wellbeing, giving them the strength to continue with their role as defenders long-term, in a much healthier way”. Based on this vision, they´ve got the following objective: “To raise awareness of the need for self-care as a political tool in human rights work (human rights defenders, their organisations and society in general)”. The Respite House is situated in a small rural area near Madrid. They work with defenders from all around the world (who speak either English or Spanish). 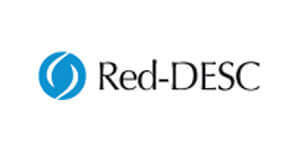 Defenred offers Human rights defenders (HRD) a period of rest for their physical and psychological recovery. Similarly, in the defender’s interest, Defenred tries to facilitate institutional contacts which may be used to support and reinforce their work when they return home. To undertake a health check on human rights defenders and to identify how influential their activism is. To incorporate self-care needs into defenders’ daily work. To provide tools and advice on self-care so defenders can put them into practice when they go back to their country of origin. Defenders stay in the Respite House for 4 to 6 weeks. During their stay, Defenred offers different types of professional support (psychological, physical and medical), accompaniment and leisure time to help them recover their strength. This support helps defenders to assess their health and make changes (through self-care) when they return to work. The therapeutic value of solidarity in this Project is fundamental. If defenders are received with solidarity and care, their healing process will be much more positive and will reinforce trust and belief in themselves and in their human rights defence work. 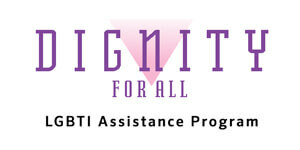 Dignity for All: LGBTI Assistance Program is a consortium of eight leading human rights and LGBTI organizations that provides emergency assistance, advocacy funding, and security support to human rights defenders and civil society organizations under threat or attack due to their work for LGBTI rights. Dignity for All will provide small, short term emergency grants for medical expenses, legal representation, prison visits, trial monitoring, temporary relocation, dependent support, security, equipment replacement and other types of urgent expenses. By definition, emergency assistance is finite and given to address a time-sensitive threat. An emergency may also encompass the need for more than one type of assistance (i.e. medical and legal, or equipment replacement). 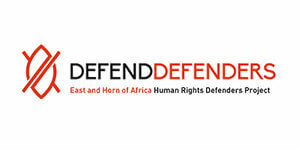 DefendDefenders seeks to strengthen the work of human rights defenders (HRDs) throughout the region by reducing their vulnerability to the risk of persecution and by enhancing their capacity to effectively defend human rights. Burundi, Djibouti, Eritrea, Ethiopia, Kenya, Rwanda, Somalia, Sudan, Tanzania, Uganda. DefendDefenders Works with network members to provide support to human rights defenders who need trauma treatments. In some cases, it could be private psychologists who treat them. It provides legal advice and support to those defenders who need it. DefendDefenders send experts to observe in defenders’ trials, making sure that they get a fair trial. Makes appeals when defenders are attacked and sends letters to national authorities. Appeals and petitions are on the website. To undertake ongoing monitoring of defenders at risk. The EMHRF aims at promoting and enhancing a human rights culture and the consolidation of a nascent democratic civil society within the South-Mediterranean region by providing strategic financial assistance and support to local, national and regional human rights non-governmental organizations and institutes as well as individuals who promote, support, protect and monitor the observance of human rights in the region. They provide emergency grants to human rights defenders who are at risk as a result of carrying out their activities in the area. Applicants seeking an emergency intervention by the Foundation in support of their situations/activities must submit a written request in Arabic, English or French. When assessing a request, the Foundation takes into account potential financial support that could be obtained from other organizations or institutions involved at the national, regional or international level. In such cases, the Foundation endeavours to refer the applicant to potential funding partners in order to avoid any duplication. 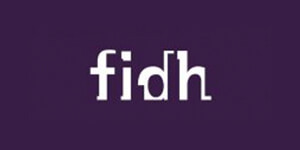 FIDH (International Federation for Human Rights) is an international human rights NGO federating 184 organisations from 112 countries. FIDH defends all civil, political, economic, social and cultural rights as set out in the Universal Declaration of Human Rights. In 1997, FIDH in partnership with the World Organisation against Torture (OMCT) created the Observatory for the Protection of Human Rights Defenders. The Observatory provides legal assistance to human rights defenders, including covering legal expenses and a lawyer for defenders who are victims of judicial harassment. FIDH sends experts to observe in defenders’ trials. FIDH has established an alert mechanism to deal with urgent requests about defenders at risk. It provides information about each case and about the actions each country should follow and address for people and organisations who want to participate in the campaign. They provide emergency grants to human rights defenders at risk. The grants may include: Physical security, digital security, communications expenses, strengthening capacities in security, safe transport, legal support, medical assistance (including psychosocial support and rehabilitation), humanitarian assistance (including support for relatives), urgent relocation, documentation and advocacy. Help defenders in extremely difficult situations. Support defenders so they can continue with their mission. Alert international media about human rights and their situation in the country. 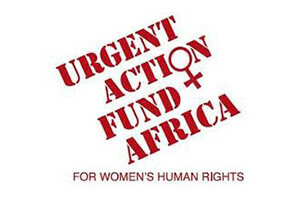 Urgent Action Fund- Africa is committed to strengthening the leadership capacity of women, to bring equity and justice. At the same time, it contributes to achieving a conflict free society. Urgent Action Fund Africa, in solidarity with other Funds has dedicated their efforts to armed conflict areas, escalated violence, extreme repressions and volatile political situations. 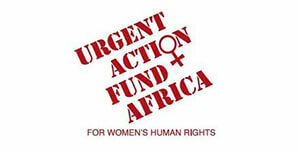 Additionally, this fund develops initiatives that support the rights of activist women in an African context. 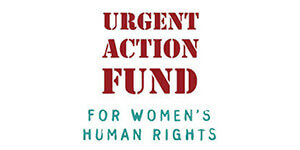 The Urgent Action Fund for Women's Human Rights Asia and Pacific (UAF A&P) and the Rapid Response Grants (RRGs) were established to provide protection and support to women, non-binary (e.g., lesbian, trans) human rights defenders or organisations that face urgent risk in their advocacy to uphold women’s human rights and human rights in general. Advocacy & Alliance-Building: We leverage the power we have as a funder to advocate for women and transgender human rights defenders. 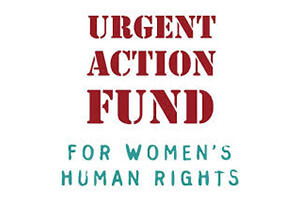 Global Consortium of Urgent Action Funds to support women, transwomen and girls’ activism globally. They award rapid response grants to women and transgender human rights defenders in Asia, the Middle East, Central and Eastern Europe, and North America. Activists apply for grants of up to $8,000 USD in any language on any day of the year and are guaranteed a response within 72 hours. They award rapid response grants to women and transgender human rights defenders at risk because of the work they do. These grants are provided for a maximum period of 5 months and amount to a maximum of 5.000 dollars. 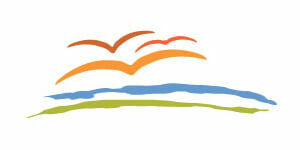 To apply for a grant, please go to the website . 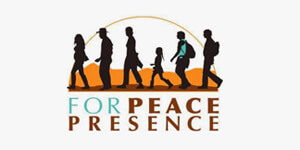 FOR Peace Presence is a non-governmental organisation dedicated to the international accompaniment of communities and people at risk dedicated to the promotion of human rights, peace and justice in Colombia. It offers physical security, political visibility and solidarity through the accompaniment of communities and organisations who adhere to active non-violence to defend life, land and dignity. 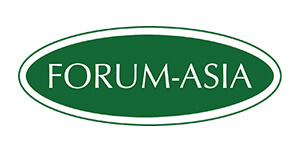 FORUM-ASIA is a network of 58 members in 19 countries, and it is committed to building a peaceful, just, equitable and ecologically sustainable community of peoples and societies. Afghanistan, Bangladesh, Bhutan, Brunei, Cambodia, China, North Korea, South Korea, Philippines, Hong Kong, India, Indonesia, Falkland Islands, Japan, Malaysia, Myanmar, Mongolia, Nepal, Pakistan, Papua New Guinea, Sri Lanka, Taiwan, Thailand, Timour Leste, Vietnam. It provides legal advice and support to those defenders who need it. To access this legal assistance, the defenders must be FORUM ASIA members or work with this network in Human Rights. It sends experts to observe in defenders’ trials, to offer support to those defenders accused by government and non-governmental institutions. The observers are members of this network with experience in monitoring cases that include human rights. 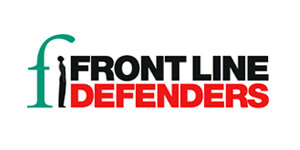 Front Line Defenders aims to protect human rights defenders at risk (HRDs), addressing the protection needs identified by HRDs themselves. Everywhere, but mainly where defenders are at a higher risk. It provides legal advice and support to those defenders who need it, covering lawyers’ fees, visits to prison and clothes through their security grants programme. It provides medical and psychosocial assistance to those who need it through their security grants programme. It sends experts to observe in defenders’ trials, making sure that they get a fair trial and an international observer is present. In some cases, Front-Line Defenders will send an independent observer on behalf of the defender. Front-Line Defenders has an alert mechanism for defenders’ urgent appeals. It provides brochures with information that is sent to the country’s authorities. The Hamburg Foundation supports politically persecuted people who, because of advocating democracy, freedom and human rights, find themselves in a dangerous, often life-threatening situation in their native countries. They invite politically persecuted people to stay for one year, integrating them into a network of German and international opinion leaders in politics, media, and civil society. Their choice of guests is neither determined by their origin nor by their profession. In cooperation with their guests, they organize cultural and political events. They inform the public of the fate of politically persecuted people and collaborate with national and international human rights organizations, initiating and supporting petition campaigns for political prisoners. 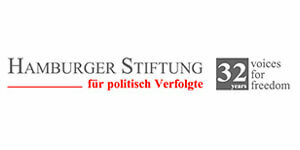 Recommendations come from the Organization for Security and Cooperation in Europe (OSCE), the PEN Centre, Amnesty International, from German and also foreign diplomatic missions, from organizations such as “Reporters Without Borders”, “Journalists Help Journalists”, the Foundation of the Hamburg Press, from representations abroad of major political foundations, amongst others. The Foundation’s guests come from many different countries: Algeria, Tunisia, Nigeria, Burundi, Cameroon, Iraq, Iran, Afghanistan, Bangladesh, Tajikistan, Kirgizstan, Mexico, Colombia and many more. The Mesoamerican Women Human Rights Defenders Initiative was launched in 2010 in order to develop a comprehensive and regionally-relevant response to increased violence against women human rights defenders. Founded and led by a political alliance between JASS Mesoamerica, La Colectiva Feminista para el Desarrollo Local (El Salvador), AWID, Consorcio para el Diálogo Parlamentario y la Equidad, Oaxaca (México), Unit for the Protection of Human Rights Defenders in Guatemala, (UDEFEGUA) and the Central American Women’s Fund (FCAM), the initiative benefits from an unusual blend of experience, expertise, geographic scope and relationships. The Initiative’s programs are mainly carried out through National Networks in El Salvador, Honduras, Mexico and Guatemala. El Salvador, Guatemala, Honduras, Mexico and Nicaragua. They combine training, self-care, research, social media activism, urgent action and human rights advocacy to raise awareness about the important but often invisible leadership role played by women defenders in the advancement of human rights. The Initiative is dedicated to strengthening and mobilizing women defenders from distinct social movements and organizations for recognition, enhanced impact and protection in a volatile context. 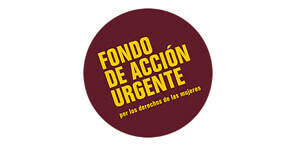 Through an innovative approach that places gender at the heart of protection, the Initiative has been built from the bottom up by convening and organizing a wide range of women defenders from across Mexico and Central America, including those most vulnerable to violence such as rural and indigenous women defending land rights and environmental justice, lesbian and transgender activists, and feminists advocating for an end to violence. It has three Foster Homes, in El Salvador, Guatemala and Mexico, for defenders under imminent risks; and a Respite House “La Serena”, in Mexico, for defenders who feel burn out. All of them are open to all the defenders of the Mesoamerican area and, eventually, their families. This organisation holds permanent campaigns and international communication that has contributed to a public opinion supporting defenders, their work and their needs for protection. Urgent actions and solidarity for the defenders at risk are an empowerment strategy and some of the measures to discourage violence in a national context. The Regional Attacks Monitoring System for Defenders in Mesoamerica works registering attacks to defenders in 5 different countries. It allows for a historical and comparative attacks gender analysis, impact assesment and identifies the needs for the protection of defenders. The System information has allowed to publish specialized reports used in court cases, reports and regional visits of Comision Interamericana de Derechos Humanos (CIDH) and the United Nations Human Rights Council, as well as human rights international organisations. Rapid Response and Self-Care Funds, sensitive to gender related needs, have reinforced the security and wellbeing of more than 2251 defenders, 400 families and 500 organisations. International Action for Peace defends human rights and the construction of a culture of peace through international accompaniment in Colombia and education for development. 2. Political campaign through meetings with military and civilian authorities, diplomats, other NGOs, international development organisations or social movements, building a support network. 3. Dissemination and awareness about the human rights situation in Colombia, promoting a peace culture and international solidarity. JASS believes that women who are most affected by the political, economic, environmental and health crises reverberating across the world are on the frontlines of change. Founded in 2003 by activists, educators and academics from 13 countries, JASS was built on long-standing relationships of political trust and solidarity, grounded in shared ideas about how change happens. It produces knowledge about power, movements and change needed to shape theory, practical and politics, promoting women rights and democratic change. Zambia, Malawi, Zimbabwe, Cambodia, East Timor, Indonesia, Philippines, Burma, Malaysia, Mexico, Honduras and Guatemala. Occasionally in USA, Holland, Thailand, South Africa, Botswana, Namibia, Panamá, Nicaragua, El Salvador and Costa Rica. They got an independent programme with feminist groups in Uganda and Kenya. 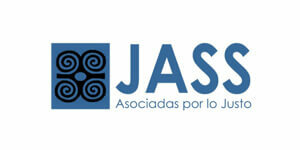 JASS coordinates the Human Rights Defenders Mesoamerican Initiative (IM-Defensoras) in alliance with five national, regional and international organisations. 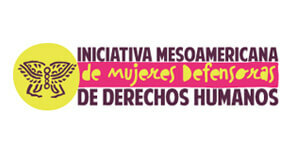 JASS Mesoamerica manages a Women Defenders Programme. They sustain protection and self-care regional alliances in Honduras, Mexico, Guatemala and El Salvador. They network more than 200 defenders. • JASS promotes safe and trustworthy places where defenders can express themselves as victims of violence. These are spaces that allow defenders to have a support network they do not have with their families, communities and organisations. JASS promotes the recognition of women’s work towards human rights. It undertakes gender analysis related to violence against defenders in each country in the area within a regional and international strategy. Promotes the strengthening and capacity building that allows defenders, individually or collectively, to develop their own protection strategies. Mobilize a variety of resources to respond to different protection needs. Develops analysis and strategies to promote self-care as the way to guarantee social movements sustainability. 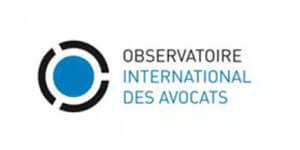 The International Observatory for Law at Risk (OIAD – Observatoire International Des Avocats, in French) has been created by initiative of Conseil National des Barreaux (France), Barreau de Paris (France), Consejo General de la Abogacía Espanola (Spain) and Consiglio Nazionale Forense (Italy).The Observatory records and follows cases and situations limiting or stopping the free practice as lawyers anywhere around the world. The objective is to give effective support to that practice threatened or persecuted because of reasons associated with the profession. For that, OIAD collaborates actively with: lawyers who are victims or with their families; bar associations or other organisations belonging to this field; national and international NGOs; national and international public institutions; intergovernmental associations. 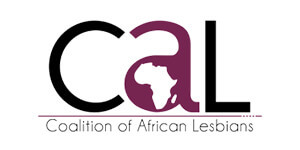 Cameroon: National Council of Legal Protection. Spain: Colegios de Abogados de Barcelona, Madrid, Señorío de Bizkaia, Lleida, Talavera de la Reina and Caceres. France: Bar Association in Caen , Hauts-de-Seine, Metz, Montpellier, La Rochelle – Rochefort, Lyon, Rouen, Strasburg, Tour, Thonon les Bains and Rennes. Italy: Bar Association in Bari, Brescia, Messina, Milan, Oristano, Rome and Torino. It sends lawyers to the field to offer legal, moral and/or material assistance for lawyers who are threatened or persecuted for human rights related activities and/or the exercise of the law. It can inform bar associations and anybody who is promoting the protection of lawyers to be able to take the case on board and provide a quick assistance to the threatened person. It sends lawyers to observe during trials. It sends urgent communications and allegations to bar associations, national and international political authorities and local and international human rights associations. Created in 1985, the World Organisation Against Torture (OMCT) is today the main coalition of international non-governmental organisations (NGO) fighting against torture, summary executions, enforced disappearances and all other cruel, inhuman or degrading treatment. Including providing access to a lawyer, intervening on a victims’ behalf, or collecting evidence of torture through medical examinations that can be used in court. It provides information about each individual case and the action plan for the country’s authorities. It provides addresses for the defenders or organisations to use. Support defenders and their activities. Get defenders in touch with regional and international NGOs’ representatives and foreign authorities. Alert international media about their situation and the human rights situation in the country. Operazione Colomba is the Nonviolent Peace Corps of the Association Comunità Papa Giovanni XXIII. It was born in 1992 thanks to the wish of some volunteers and conscientious objectors to effectively experience a nonviolence approach in conflict areas. Albania, Colombia, Lebanon (refugee camps) and Palestine. We aim to protect civilians more exposed to the violence, through our neutral and international presence and through nonviolent direct actions such as: physical interposition, reporting of complaints on human rights violations, accompaniment of refugees or threatened people, actions of solidarity, supporting the meeting and mediation between the fighting parties and protecting minorities. 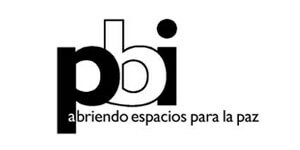 PBI works in countries where communities experience violent conflict, intimidation or repression. Their approach combines on-the-ground expertise and local knowledge with international advocacy, aiming to ensure that human rights defenders are able to carry out their work, contributing to social justice and peace, in relative safety. They provide protection, support and recognition to local human rights defenders who work in areas of repression and conflict and have requested their support. They take an integrated approach, combining a presence alongside human rights defenders on the ground with an extensive network of international support. They use their international presence and global networks to protect, support and enable the work of human rights defenders and local activists for peaceful social change. Colombia, Guatemala, Honduras, Indonesia, Nepal and Mexico. Protective accompaniment is a strategy for protecting human rights defenders and communities whose lives and work are threatened by political violence. Protection of threatened activists and organisations. Moral support for individuals and civil society movements. PBI has built and strengthened international networks to put pressure on governments and national, regional and international institutions, so they can fulfil their international commitments to protect human rights defenders at risk. 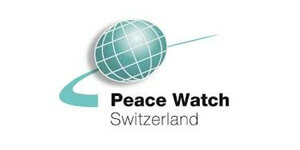 Peace Watch Switzerland supports local human rights organisations, churches and civilians in regions where there is a crisis. It protects through international presence, accompaniment and observation. Reporting and documenting human rights violations. 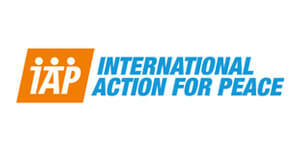 PEN is an international organisation of writers advocating for human rights and freedom of expression. PEN points out that freedom of expression and literature are inseparable. 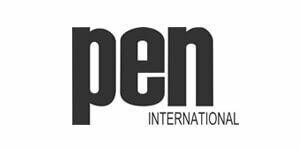 PEN has got emergency Grants to assist writers who have been persecuted and are in acute financial need. Many of them have had to flee their country or require medical attention after imprisonment. They may need help with visas, flights and travel insurance; medical assistance and maintenance expenses. 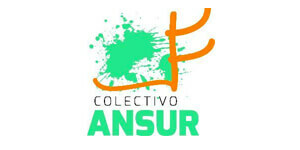 Friendship Office of the Americas’ Project, Honduras Accompaniment Project send international observers to accompany defenders under threat due to their work for individual and collective human rights, in an environment of repression and political persecution. They offer physical protective accompaniment for defenders, including communities, human rights organisations and members of social movements, with the aim to protect threatened individuals and communities in the midst of an armed conflict or political violence. It is based on the principles of non-violence, non-inherence and impartiality. They support the process of collecting information about human rights violations and offer consistent information to the international community as well as advocating and addressing diplomatic corps. ProtectDefenders.eu provides a stable, comprehensive and gender-sensitive EU support to individuals and local actors who strive to promote and defend human rights worldwide.ProtectDefenders.eu is committed to reaching Human Rights Defenders working in remote areas and countries where it is particularly dangerous to work in human rights defence. It also focuses on defenders who are especially targeted, including women human rights defenders, defenders of LGBTI rights, land and environmental rights defenders, economic and social rights defenders, defenders of minorities, lawyers, and those fighting for freedom of expression and association. Thanks to their partners, ProtecDefenders.eu is launching urgent actions, as fax and phone callings to the competent authorities- bringing up the case through the EU or governmental agents. ProtectDefenders.eu delivers a fast and specific EU response to support Human Rights Defenders at risk. The emergency grants programme ensures that Human Rights Defenders can access and implement urgent security measures to protect themselves, their family and their work. The emergency grants programme aims to reach every corner of the world, including the most difficult countries and remote locations, and to provide urgent support to all Human Rights Defenders, especially those within the most vulnerable and targeted groups. The applications for emergency support grants to individuals at risk are evaluated on a case by case basis and considering the criteria of identity, situation and needs. ProtectDefenders.eu delivers the emergency support through the established emergency grants programmes of its partners Front Line Defenders, FIDH, OMCT, RSF, UAF, EMHRF, Forum Asia y EHAHRDP. which also draw on non-EU funding to provide rapid practical support to human rights defenders at risk. 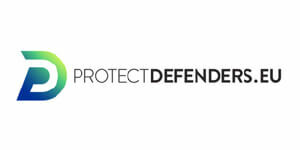 ProtectDefenders.eu provides 24/7 support to Human Rights Defenders facing immediate risk through the emergency helpline run by Front Line Defenders. The hotline works at any hour of any day and gives the option to be forwarded to someone speaking Arabic, English, French, Russian or Spanish who will be able to mobilise rapid international support and action. Secure web form for Human rights defenders in need of urgent assistance, ProtectDefenders.eu can also send an encrypted message through a secure channel via a secure contact form. Human rights defenders may contact ProtectDefenders.eu via encrypted email using GPG or PGP using the public keys of the relevant staff. 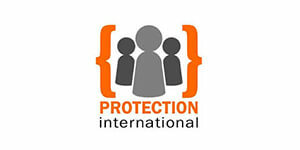 Protection International is an international non-profit organization that supports human rights defenders by developing their security and protection management strategies. Protection International has been working since 2004 with local partners in over fifty countries across the globe, together with local partners (communities, grassroots organisations and defenders), providing protection strategies for communities and organisations. Colombia, Guatemala, El Salvador, Honduras, Mexico, Indonesia, Kenia, Navarra, Democratic Republic of Congo, Thailand, Brazil. One of the organisation’s objectives is to encourage authorities to comply with their responsibility to protect and get involved with other agents and institutions. Protection International works with the EU and their delegations, the Inter-American human rights system or the United Nations Special Rapporteur on the Situation of Human Rights Defenders or the Office of the High Commissioner for Human Rights. Their main topics are: avoid the criminalisation of defenders and improve public politics of protection. ESCR-Net - International Network for Economic, Social and Cultural Rights connects over 230 NGOs, social movements and advocates across more than 75 countries to build a global movement to make human rights and social justice a reality for all. It contributes to the strengthening of human rights, specifically the economic, social and cultural rights of individuals and communities and to continue to develop tools to promote, protect and ensure its enforcement. 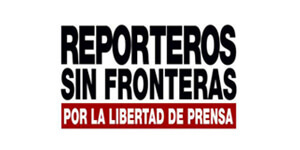 Reporters Without Borders (RSF) is an independent NGO that defends the freedom of information as the fundamental right to inform and be informed. The victims of violence connected with their reporting to obtain appropriate medical care. Wrongfully prosecuted journalists to pay their legal fees. Threatened journalists to find a safe refuge. Journalists to resolve their most urgent needs if they decide to flee abroad because of threats and persecution. Families of journalists to cope with the consequences of the reprisals. Their objective is to develop an integral proposal to prevent aggressions and to protect human rights defenders at risk in Colombia. Humanitarian Support: Giving economic support to a defender who has not got the resources for his/her immediate protection, when facing an imminent risk. The defender needs to demonstrate that lack of protection where they are based. National Internship: To save their lives, defenders are temporarily relocated (3 to 6 months) with the aim that they continue working for human rights, despite being in another place. International Internship: To save their lives, defenders are temporarily relocated (up to 1 year). This option is available when there is an extreme risk to their safety and when there are no possibilities to guarantee their safety in Colombia. The aim is for them not to stop working for human rights, despite being abroad. This programme advocates with government, national institutions, multilateral organisations, embassies, and the international community, to promote political measures to protect defenders, their organisations, and communities. This programme has set up the Human Rights Defenders Aggressions Information System to document, investigate and standardise the flow of information about acts of aggression towards defenders, with the aim to continually monitor and produce information about these issues, nationally and internationally. 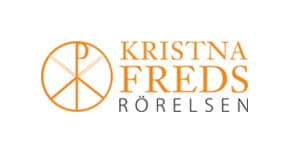 The Swedish Fellowship of Reconciliation (SweFOR) is a nonviolence movement that works for peace and justice. They offer accompaniment to human rights defenders and other activists in Mexico, Guatemala, and Colombia. Swefor accompany human rights defenders and other peaceful civil society agents. Every year, Swefor sends peace observers to countries of conflict to participate in the work for peace, democracy, and human rights. They become part of a global network trained to report human right abuses and to protect the people who actively work for peace and justice. This accompaniment is used to deter those who want to commit violent aggressions against those defenders, and at the same time, to protect defenders’ physical and mental integrity. International presence can stop violence and at the same time can dignify the work of those individuals and organisations that are accompanied. Swefor divulges information and sets up immediate responses to assist in cases of aggressions against defenders. One of their objectives is to spread information about human rights situations and provide moral support to defenders and accompanied organisations. Since 2000, it provides different services to human rights defenders in Guatemala and other countries in Central America. Its mission is to provide integral support to defenders and empower them in their security and safety management. El Salvador, Guatemala, Honduras, Nicaragua, and Mexico. UDEFEGUA provides support to cover lawyers’ fees. It helps with the development of litigation strategies. 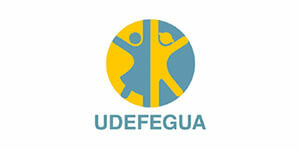 UDEFEGUA offers medical and psychosocial support to defenders at risk. It sends urgent appeals to regional and international human rights authorities, as well as NGOs. Those appeals are published in their annual report. The women human rights defenders’ movement affirms and validates the essential work of women defenders, while recognising the unique threats faced by women in their human rights work. This movement enables women human rights defenders around the world to discuss tactics and successes, as well as share resources. The movement provides a global network of support and solidarity, and the ability to band together and demand action when a defender is under threat. It provides a resource and advocacy network for women human rights defenders worldwide.